At AlwaysFreshFish.com we purchase our Fluke from local boats along the New Jersey Shore and from along the North Atlantic Eastern Seaboard. Fresh Fluke is delivered to our company when it is available. Fluke fishing has been regulated there to prevent the fish from being over utilized. After delivery the Fluke is filleted, skinned and packaged for shipment. Fresh Fluke fillets have a firm texture, white meat and a small flake with a mild to sweet flavor. 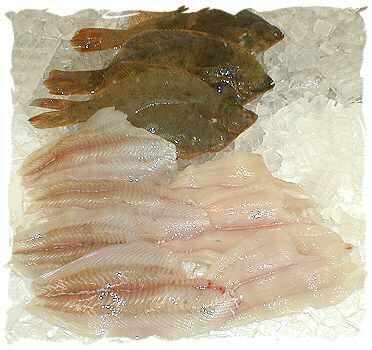 Fresh Fluke fillets can be used interchangeably with any recipe calling for a fresh Flounder fillet. Fresh Fluke fillet size will average between 6-12 ounces. 1 lb. Fresh Fluke + 4 lbs. Add. Selections = 5 lb. Total Order OK! For additional information on Fresh Fluke, please e-mail AlwaysFreshFish.com.